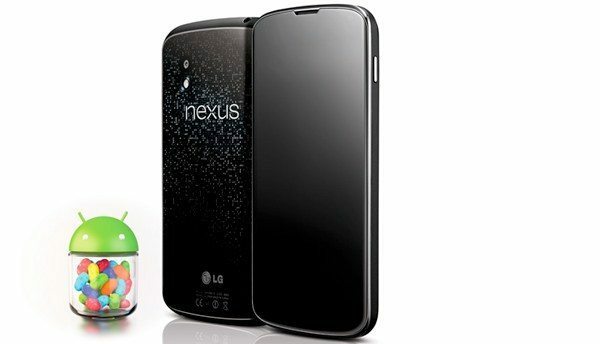 To say that Google’s Nexus 4 smartphone made by LG has proved a massive hit is somewhat of an understatement considering the difficulty consumers are having getting hold of it. It’s extremely difficult to actually purchase one at the moment but there are some fortunate customers who have managed to get one in their hands. If this applies to you then you may be interested in Nexus 4 battery optimization and other benefits from the Android 4.2 Jelly Bean Matr1x Kernel ROM. We’ve rarely seen such anticipation and demand for a new phone and have documented the shortage of supplies on several occasions and LG’s response to this. However, those who already have the Nexus 4 and who are open to a bit of dabbling with their devices will appreciate what the Matr1x 2.0 Kernel has to offer. The new Matr1x 2.0 Kernel is based on Android 4.2 Jelly Bean, the latest OS available and some of you will already know that a Matr1x custom ROM kernel was previously successful for improving battery performance of the Google Nexus S phone. We shouldn’t be surprised then to see the kernel used for the Nexus 4, said to optimize battery life, bring GPU overclocking up to 450MHz with all cores undervolted to 100 mV and also supply an effective ARM CPU Topology. Before we give you more information on the Matr1x kernel ROM we should remind readers that here at Phones Review we cannot recommend the use of custom ROMs, jailbreaks and the like and that if you choose to do so it is entirely your responsibility and at your own risk. Please only proceed further if you know enough about what you are doing and read through all instructions first. However, we would also add that we know that many of our readers are keen to customize their devices and so we like to bring you the latest information for this. The Matr1x 2.0 custom kernel is ONLY for the Nexus 4 E960 phone. It’s always advisable to back up your important data, apps and settings to avoid any possible loss while flashing the Matr1x kernel on your phone. Before you begin you need to have a rooted Nexus 4 with unlocked bootloader and also ensure you have ClockworkMod Recovery installed. You should also make sure that you have at least 50% of battery charge while flashing the Matr1x kernel to your Nexus 4 to avoid shutdown. You are then ready to proceed to download. The Matr1x 2.0 custom kernel comes from a recognized XDA developer known as mathkid95. You can find all of the download links you need and complete step-by-step instructions at this Android Authority source. We’re really interested to hear from readers who use this Matr1x kernel. Did everything go smoothly for you? How much improvement, if any, have you noticed with your Nexus 4 battery performance? Let us know with your comments.